Ladies and Gentleman Please welcome the So. 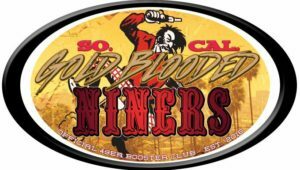 Cal Gold Blooded Niners to the Niner Empire Family. Louie Gutierrez and family have been around quite awhile and has been a huge part of the Southern California family. We are thankful and appreciate you wanting to be part of the global aspect of Niner Empire and for that we Thank You!